This month, it’s time to gather together to celebrate your favorite coding language: Scratch! (And if it isn’t already your favorite, you’ll definitely want to read further and discover what you and your students could be gaining from this fantastic, free programming language). 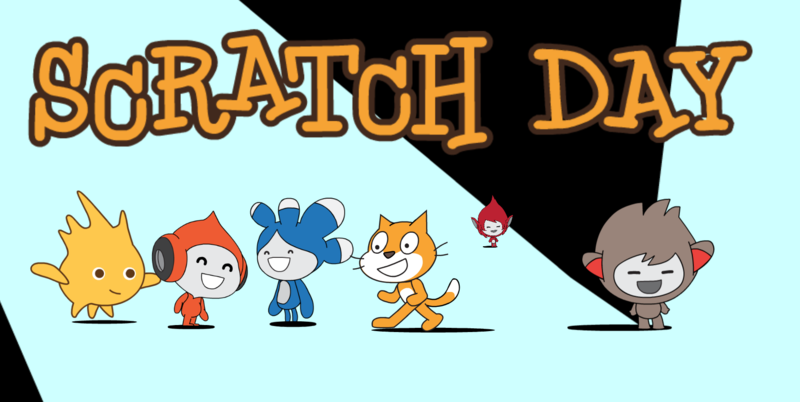 Every May, people around the world hold Scratch Day events. These are free events that anyone can join (or even host their own) to learn and share the exciting possibilities with Scratch. The ability to code is quickly becoming a required part of modern digital literacy. When students learn how to code, they are also learning problem-solving strategies and critical thinking, as well as how to creatively communicate their ideas. Scratch is a great first programming language. It’s completely free to use. It’s also a visual programming language, making it easy to grasp for first time coders. In Scratch, you move and snap together colored blocks to create the code. The organization of these blocks provides instructions to control characters called sprites. Young children can begin to understand the basic principles of coding without having to remember and write out lines of code. They can see immediate results and discover how adjustments in their code can change the resulting outcome. For more information on getting started with Scratch, check out this blog. Scratch is specifically designed for learners ages 8 to 16. However, it is used and enjoyed by millions of people of all ages. Scratch isn’t just fun for new coders, but more experienced coders, too. As students gain more confidence in their coding skills, they can create more in-depth interactive stories and complex games and bring them to life through animation. They can also collaborate with others and share their creations in an online community. In fact, the Scratch community has over 21 million projects shared. These are great resources for programmers to get ideas, be inspired, and see the incredible range of what can be created using Scratch. I believe that the best way to help people understand the world is to provide them with opportunities to actively explore, experiment, and express themselves. This year isn’t just any Scratch Day time; it’s also the 10-year anniversary of Scratch. That marks a whole decade of millions of children and adults learning to code in a fresh new way. Scratch was created by Mitchel Resnick through a group called Lifelong Kindergarten in the MIT Media Lab. The mission of Lifelong Kindergarten is to encourage learning through active discovery. 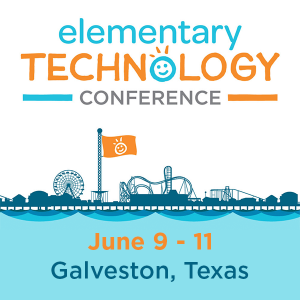 Their philosophy is that people of all ages learn best when they are engaged with designing, creating, and inventing things, a premise that TCEA and all of our members strongly agree with and practice. Resnick developed the earliest versions of Scratch while working with the students and staff at Computer Clubhouse. This is a network of after-school learning centers where students from low-income communities can use technology to express themselves. The name “Scratch” comes from the idea of collaboration and building off the work of others to create something new. “Scratching” in computer science means to reuse and re-purpose code and share it with others so that they can do the same. Lifelong Kindergarten continues to grow and improve Scratch to match new technology. The first edition of Scratch was intended for people to download and use on their home computer. Scratch 2.0 allowed coders to design and share their projects directly in their web browsers. Scratch 3.0, which is expected to be released in 2017, will allow students to code on mobile devices and even integrate with Internet of Things (IoT) devices. Scratch Day is a global network of events that celebrate all things Scratch. There are already over 400 projects planned this year. These events are designed to allow members of the Scratch community to come together in real time to share projects and ideas and learn from each other. To find a project or event near you, go to the Scratch Day website. You can search by your city, town, or zip code to see what events are nearby. Don’t see an event near you? You can always host your own! The Scratch Day organizers provide resources for how to host a Scratch Day event including a planning checklist, sample agendas, and tips for effective facilitation. Are you attending or planning to host a Scratch Day event this May? If so, we’d love to hear what you have in store in the comments section below.